In this series I've identified several inflection points in our adoption of social media at Mayo Clinic, including our first podcast, creating our Facebook page, easing into Twitter and getting started with blogging. All of these were important steps, but none had greater impact than Mayo's (eventual) embrace of consumer-grade video. In keeping with its diagnostic, medical, and surgical excellence, Mayo Clinic had for several years also produced high-quality video content, including broadcast-quality news packages syndicated to television stations throughout the U.S. and Canada. Those Medical Edge TV packages were the initial content source for our Mayo Clinic YouTube channel in 2008. But we were only producing one segment per week, and we saw opportunities for other videos that also could be helpful to patients and therefore to Mayo. Producing those with the expensive equipment and personnel that would meet the exacting standards Mayo had set to that point was practically impossible, so we splurged and spent $150 for a Flip camera. The plan was to only use the Flip for video that had no reasonable likelihood of being used on TV. 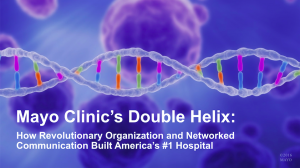 One of our early successes was a video featuring Dr. Marc Patterson, a pediatric neurologist, discussing a rare disease called Niemann-Pick Disease Type C. This is a rare disease that affects the body's ability to metabolize fat, and which can lead to loss of brain and other body functions. In short, it can produce Alzheimer's-like symptoms in children. A major benefit of the Flip was described by its name: the USB connector that flipped out from the side of the camera, enabling us to copy files to our computers for editing instead of having to play the video and digitize through Firewire. So, instead of sending a professional videographer with an expensive camera to shoot video, we could give our media relations team members a $150 camera and a tripod to capture video suitable for YouTube that would be extremely helpful to niche audiences. This particular video has more than 25,000 lifetime views. 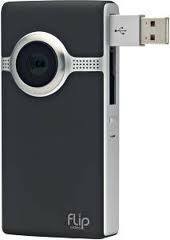 In addition to making medical expert video production much more economical, the Flip camera also enabled us to capture some great patient stories. One of my favorite early ones involved Mary Errato and her husband Al. Mary had experienced healing complications after an amputation performed elsewhere, which led the Erratos to travel to Mayo Clinic from Connecticut in February 2009. Al's video has more than 22,000 views and Mary's more than 6,000. You'll note that these early videos are standard definition, but as consumer-grade technology improved we moved to HD. The reduced costs of producing videos meant that instead of a few hundred videos we could have thousands. Today. Mayo's YouTube channel has more than 6,200 videos. An interesting and unanticipated benefit of this consumer grade video exploration was that sometimes it led to news coverage in traditional media. Dr. Patterson's video was one such example: the parents who had requested the video also pursued media coverage and included the video in their pitch. 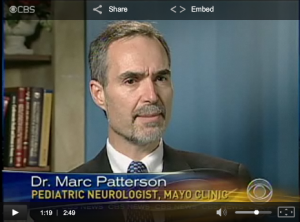 It led to Dr. Patterson being featured on CBS Evening News, with the video shot with highest-end broadcast equipment. As we continue the series, we'll highlight some additional examples of how social and traditional media have combined to launch and dramatically expand the reach of important stories. Just how difficult is it to produce consumer-grade videos, anyway? Expand your reach on social media with consumer-grade video production. Take your social media presence to the next level with consumer-grade video production.